I am in the midst of doing an overhaul of my 2002 book Protecting the Flank: The Battles for Brinkerhoff’s Ridge and East Cavalry Field, Battle of Gettysburg, July 2-3, 1863. This is one of my favorite titles of my work, even though it’s a short book. It was the first in Ironclad’s The Discovering Civil War America Series–an idea I came up with–and it also made the most extensive use of The Batchelder Papers of any study of East Cavalry Field yet published. It has also sold steadily over the years, and I am grateful to Bernadette Atkins for bugging me into writing it. When Ted Savas offered me the opportunity to give it an overhaul and bring out a new edition, I jumped at it. The new edition will add material that I did not have in 2002 when it was first written, and will also add an appendix addressing the intellectual fraud of Tom Carhart’s Lost Triumph: Less Real Plan at Gettysburg–and Why It Failed. In the process, I get to deal with one of the more resilient of the plethora of Gettysburg controversies. 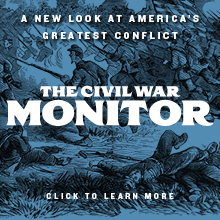 No battle of the American Civil War has generated more controversies than did Gettysburg. 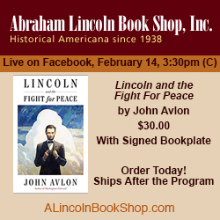 Ranging from the Meade-Sickles controversy, the Lee-Longstreet controversy, the “where did Farnsworth’s charge really occur” controversy, and so on, these debates continue to stir emotions 148 years later. My study of the fighting on East Cavalry Field touches on two closely interconnected controversies: why did Stuart fire random artillery shots at the beginning of the fighting, and who fired those shots? Carhart’s theory–completely and totally unsubstantiated by either the historical evidence or the laws of physics–is that the shots were supposed to be a signal to Robert E. Lee that Stuart’s cavalry was in position and ready to coordinate with Pickett’s Charge. Never mind that there simply is not a scintilla of historical evidence to support this preposterous charge, and never mind that the sound of four random artillery shots never, ever would have been heard over the fighting raging at Culp’s Hill–squarely between Stuart’s position and Lee’s headquarters on Seminary Ridge, six or seven miles from East Cavalry Field. This is the cornerstone of Carhart’s theory. Neither Lee nor Stuart ever said a word about this in their reports. Undaunted, Carhart just makes stuff up and says that Lee elected not to say anything about it in order to protect Stuart’s delicate ego. When I wrote the book initially, I postulated that Stuart’s true plan was to ambush Gregg, and that the shots were to announce his presence to draw Gregg out and lure him into the trap he had laid. In my mind, that was the ONLY explanation that made sense, given Stuart’s troop dispositions. It turns out that I was in the right church but the wrong pew. Several years ago, historian Bill Styple published a really useful little book titled Generals in Bronze: Interviewing the Commanders of the Civil War, wherein he published the notes of sculptor James E. Kelly of the many interviews of prominent officers of the Civil War that he conducted. One of the men interviewed was Alexander C. M. Pennington, whose battery did superb work on East Cavalry Field. Pennington related that Stuart’s adjutant, Maj. Henry B. McClellan, told him that Stuart knew there was Federal cavalry out there, but was not sure where, and realized that firing the shots would draw a response, thereby enabling Stuart to pin down Gregg’s precise location. It’s as simple as that. None of this ridiculous conspiracy theory nonsense spouted by Carhart. The other controversy is which battery fired those shots. 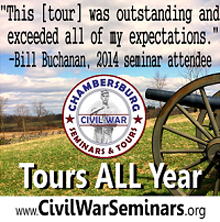 Jeff Wert, in his excellent Gettysburg: Day Three, says that Capt. Charles A. Green’s Louisiana battery of Ewell’s Second Corps fired those shots. Robert J. Trout, THE authority on Stuart’s Horse Artillery, states in his history of the Stuart Horse Artillery Battalion, Galloping Thunder: The Story of the Stuart Horse Artillery Battalion, that those shots were fired by Capt. Thomas E. Jackson’s Battery of horse artillery. My buddy J. D. Petruzzi states in his superb The Complete Gettysburg Guide: Walking and Driving Tours of the Battlefield, Town, Cemeteries, Field Hospital Sites, and other Topics of Historical Interest that the shots were fired by Capt. William H. Griffin’s Baltimore Light Artillery, a unit that had recently been converted to horse artillery. The problem is that none of the Confederate battery commanders left after-action reports, and neither Stuart’s report nor the memoirs of Henry McClellan identify which battery fired those shots. We simply do not know, and the likelihood is that we never will know for certain. All we can do is to guess, but there are some logical guesses that can be made. Jackson’s battery was armed with short range weapons. Green’s guns were not horse artillery and probably were not yet on the field. So, puzzled, I e-mailed J.D. about this, and he called me in response. We spent some time on the phone, and J. D. pointed out to me a powerful piece of circumstantial evidence. We do know that the Confederate horse artillery was plagued by the same problem as the rest of the Confederate artillery: poor ammunition. We also know that Pennington’s and Randol’s guns blasted Jackson, Griffin, and Green right of the field that day with extremely accurate and extraordinarily effective fire that could not be countered by the Confederates, in part due to the poor ammunition they had. The only one of these three batteries to report significant casualties that day was Griffin’s Maryland battery. Jackson’s battery reported one casualty. Therefore, as J. D. pointed out, and with which I agree, it makes sense that it would have been Griffin’s battery that drew the return fire, thereby causing the reported casualties. Many thanks to J. D. for pointing that out to me. Can we prove it for sure? No, and I doubt we ever will. Is this a reasonable and defensible assumption? I think so. And hence, once more unto the breach, dear friends, as the Bard once said. I believe we have tackled two of the more enduring Gettysburg controversies and hopefully will settle the questions once and for all. Then again, this is Gettysburg after all, and the controversies associated with it will probably always resonate. UPDATE, MARCH 6, 2011: I am now persuaded that it was, indeed, Jackson’s battery that fired the four shots. There are a couple of reasons for this. First, and foremost, further research indicates that Griffin’s battery wasn’t even on East Cavalry Field. Instead, it was serving on Oak Hill with Ewell’s Second Corps, meaning that it could not have fired those shots. Also, I have found a primary source account by one of Breathed’s gunners–admittedly not there when the shots were fired, since Breathed’s batter didn’t arrive until the fighting was well underway–that says very clearly that Jackson’s battery fired those shots, which corroborates an account by Lt. Micajah Woods of Jackson’s battery. J. D. now acknowledges that he was incorrect in his Guide and that this will be changed in the next printing of the book, whenever that happens. Mystery solved. Great post as usual. I knew of Stuart’s seemingly random artillery firing, but several of the books I read offered no theories as to why he did it. They even criticized him for giving away his position. This is the first I heard that he was looking for a fight and wanted the Federal cavalry to come to him. Very interesting. This completely removes Stuart from the Pickett’s Charge in theory and intention. I like to try theories out here, Captain and Scott. The feedback that I get is invaluable. After reading this post, a friend called to tell me why we’re wrong about Griffin, and after hearing what he said, I’m now leaning toward the Jackson position. My point is that unless I laid this out here, I wouldn’t have had that conversation. The problem with this is you are going on one source..Pennington said that McClellan Said… Do you have a source from McClellan states that he told Pennington this ? Given that Pennington commanded Battery M of the 2d U.S. and faced McClellan on July 3, it’s highly plausible that they would have had post-war contact and discussed this issue. The question is why Pennington would fabricate this. As to the larger point, it’s a whole lot more reliable than Carhart’s totally unsubstantiated speculation. I, for one, have always tried to fathom why on earth Lee would rely on the firing and recognition of “signal guns” from that direction to commence the battle’s decisive action. It’s frankly borderline ridiculous, in my humble opinion. I too find the “signal shots” too much to accept. However, I still can’t accept Pennington’s tale when McClellan makes no mention of what Pennington states. Did Pennington make this claim after the death of McClellan ? Signal shots were used often during the Civil War, but I agree using “signal shots” here at that time would be borderline ridiculous. Why would Pennington fabricate this ? Better question….Why would McClellan make no mention of this ? Pennington has also made the statement that McClellan told him ” That his ( Pennington ) first shot hit the muzzle of one of the cannons. ” This too was never made mention of by McClellan…Why ? In my opinion I don’t think either statement was made by McClellan. I have as of yet found no other source for either statement being made. McClellan’s memoirs come very close to saying what Pennington reported, although they stop just short. That’s good enough for me. There isn’t anything wrong with one assuming or speculating. Close is enough I assume. Even McClellan speculated as to why Stuart fired the shots. Just a final point on “signal shots”. When you look at how many Union guns were on the field in intervening terrain and you account for the additional fact that Gettysburg, like any battlefield, had its own acoustical oddities, use of that as a signalling system seems borderline idiotic. But then the same could be said, I suppose, about the concept of the charge in the first place. While McClellan’s memoirs seem to state the far more plausible purpose as his own speculation, this makes it seem highly likely that at least he and Pennington could have communicated about this. Perhaps he altered it to a definite statement of Stuart’s purpose or perhaps Pennington heard it that way. Even if we had a transcript of what McClellan said, we’d still have doubt whether he knew Stuart’s purpose. But when you add the circumstances and common sense together, it seems good enough to me. After reading the reports written by Capt. A. C. Green of the Louisiana Guard Artillery (ref. OR Series 1, Vol. 27, Ch. 39, Pt. 2, p. 497) on 8 Jul 1863 and Brig. Gen. Wade Hampton (ref. OR Series 1, Vol. 27, Ch. 39, Pt. 2, p. 724) on 13 Aug 1863, I believe it was Green’s two 10-pounder Parrott guns that fired the first shots on 3 July at the East Cavalry Battlefield. He had accompanied Hampton’s Brigade there after supporting Hampton the night before near Hunterstown. However, the problem with that analysis is that Hampton came up after Chambliss and Witcher, and Green’s men, not being horse artillery, came up even later. I don’t think that they had arrived yet when these shots were fired.